This is the daily/weekly practice that allows you to explore, discover and track your healing, growth and insights during the course of our group. I encourage you to begin by exploring what the primary query is that you want to gain greater clarity and resolution about. It can be useful to dedicate a journal specifically for this process to give you a sacred container for your experience. Visual Journaling is the part of the Creative Inquiry process that accesses the intuitive capacities of the right brain. It can be as simple as scribbling on the page with a crayon or as complexed as a painted collage, but the important thing is that it is spontaneous and uncensored. The looser we can be with this part of the process, often the more our unconscious mind & the wisdom of our Higher Self can come through. This facilitates our ability to actually discover answers to our deeper prayers and receive insight into old patterns that may have hindered us. So let yourself play and be curious like a little child when you pick up the pastel or the paints and don't worry about the product as much as experiencing the process itself. You may also wish to create one image that represents your inquiry/question for you to focus on for the duration of our group. 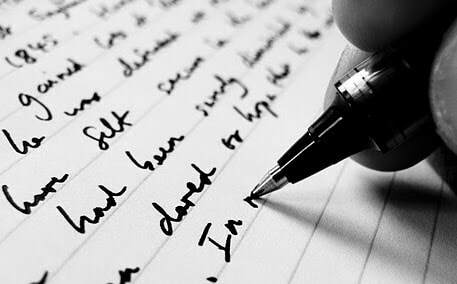 Spontaneous writing accesses the left hemisphere of our brain and our cognitive knowledge as well as our deeper wisdom. One of the most useful resources I have found for uncensored, creative writing has come from Natalie Goldberg. Her book Wild Mind encourages a spontaneous form of writing that I have drawn 4 guidelines from for this process. First, write one whole page or more in your Creative Inquiry journal without thinking or analyzing it. Second, just keep your hand moving. Third, don't censor anything. And Fourth, it's okay to write (or draw or paint) complete crap. What is important is to get below the censoring mind and to allow our unconscious beliefs and our brilliant insights to be able to bubble up to the surface for us to see and hear and dance with. 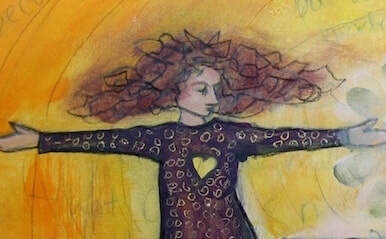 ​Somatic Awareness is the underlying foundation of this Creative Inquiry process. It is how we are able to truly affect lasting change in our old habitual patterns that no longer serve us and imprint new ways of being that are more authentic to our true nature. Using a simple technique of checking into our felt sense we will cultivate the capacity to experience ourselves as fully embodied, while we explore our inner terrain. Somatic awareness is noticing the inner sensations you feel within your body and is a fundamental tool used in somatically based therapeutic practices to help people re-pattern their automatic responses to experiences that trigger unconscious conditioning. With regular practice we begin to increase our capacity to be consciously embodied.